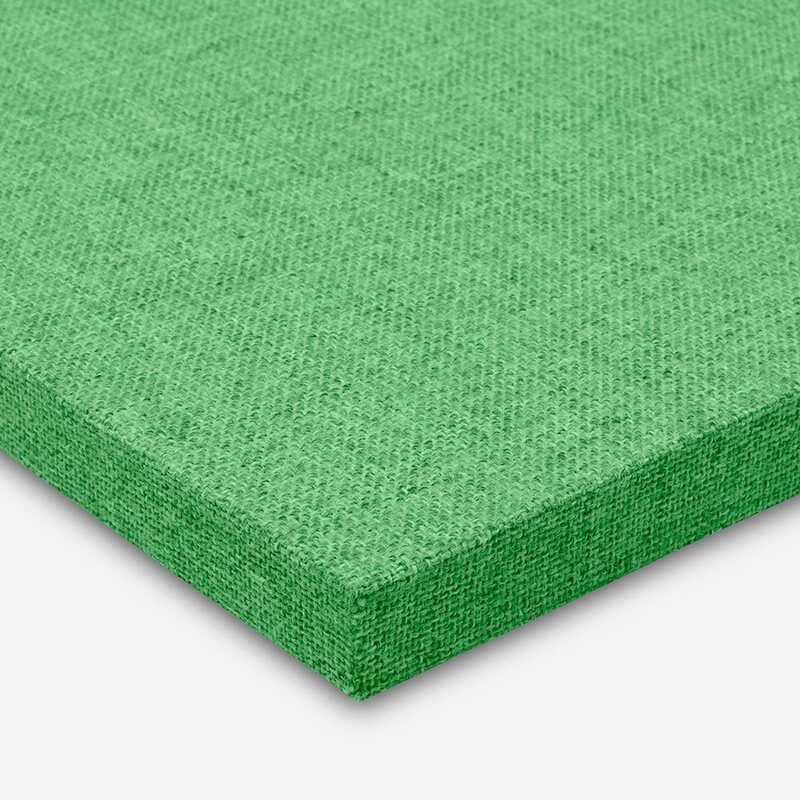 Absorbent material: Polyester fibre (PET) and heat-bonded acoustic fleece. Standard installation system: Walls – As simple as hanging a picture. – Ceilings: Suspension by braided metal cable. Upper fleece to protect the fibre and to provide new acoustic absorption values. MDF frame Fire-retardant textile coating. Possibility of printing images on the textile.